I had got these frozen chicken meat balls some time back. Usually I fry them and we have it as a snack. 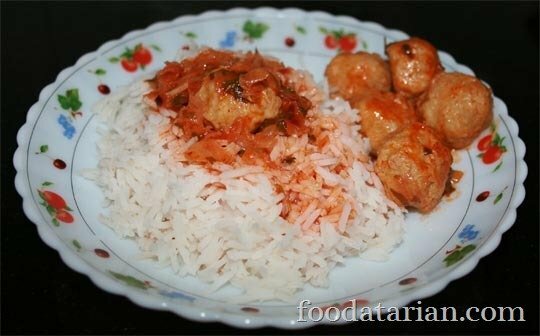 This time I thought of preparing a sauce for meatballs and serve it over rice. 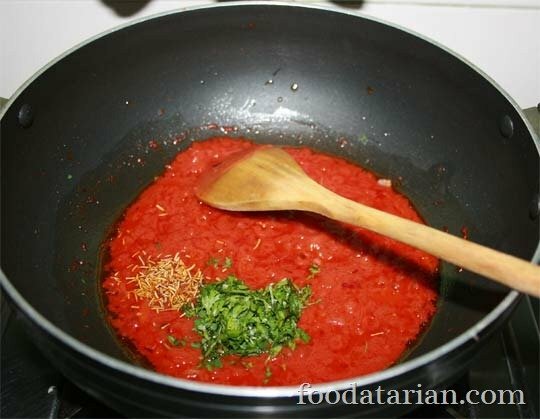 The sauce is sweet and sour tomato sauce with a distinct flavor of rosemary and parsley. A very simple recipe ready in 10-12 minutes. Thaw the meat balls. In a wok heat some olive oil. 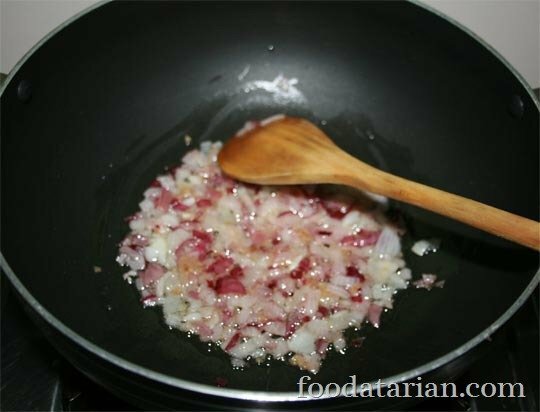 Add onion and sauté until soft. 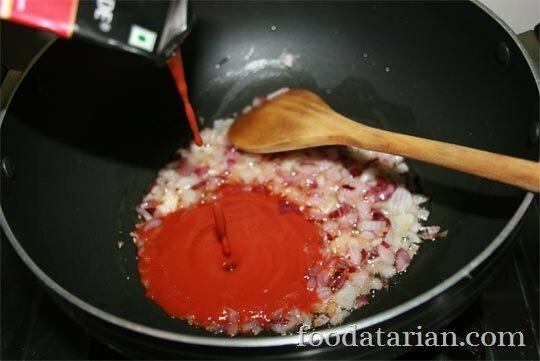 Then add tomato puree/paste and cook stirring occasionally for few minutes. Then add rosemary and parsley and give it a nice stir. Cook until the sauce starts leaving oil from the sides of the wok. Then add enough chicken stock/water for a gravy like consistency and bring to boil. Season with salt, pepper, paprika, sugar and mix well. 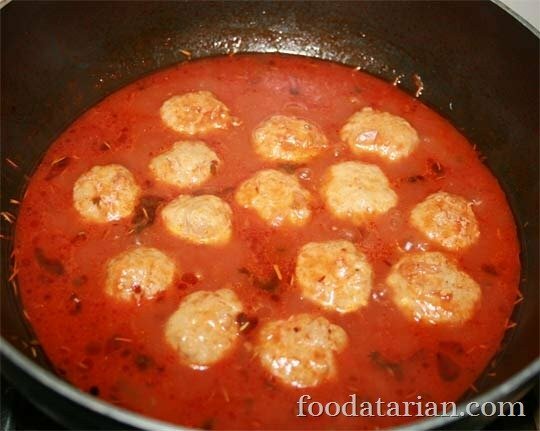 Now add thawed meatballs, cover and cook for a few minutes. Wash rice and set it aside. In a deep pot, boil 2 cups of water with salt. Then add rice to it. Stir nicely and let it cook for about 7-8 minutes. Time of cooking may vary according to the rice. Very inviting and delicious rice and meatballs,makes me hungry..